Libraries, leisure centres, crematoriums and now street lights. It seems that nothing is safe from Tory porkies. They seem to be making a bit of a habit of it don’t they? Residents in the Longbridge ward of the Northfield District recently received a letter from the Tory prospective candidate for Northfield, Rachel MacLean, about the street lights in their area. 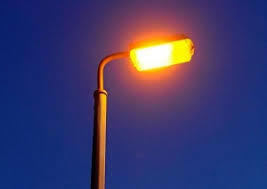 It claimed that earlier in the year the City Council had proposed to dim or switch off street lights in Birmingham. The letter claimed 157 roads in Longbridge would now see street lights turned down or off completely – compared with 5 in Lozells and East Handsworth. Time to get the fact checker out again. I wrote to the Director of Highways at Birmingham City Council to see what the Tories were going on about. It was confirmed to me that there has never been a formal decision to switch off any streets lights in our city. The Council has a Highways Maintenance and Management contract with the company Amey and I am told that the contract does not allow street lights to be switched off. The Director told me the Council are able to dim street lights between 9pm and 6am, but they only do this after a thorough assessment – to ensure that reduced lighting levels would not worsen crime or road safety. Dimming reduces the lighting by about a quarter, which isn’t normally picked up by the human eye. It does, however, save energy. I also understand that as more modern lights provide better illumination, they can be dimmed more safely. The Tories letter was a clear attempt to try to win votes by scaring residents that their local streets are no longer and safe and secure. Worse, still, they were trying to set people living in one part of our city against people living in another. They claimed that Labour was hitting street lighting in the suburbs to protect lighting in inner city areas. According to the Director of Highways, that is not the case. On the contrary he said it could be the large number of road improvements taking place in Longbridge that may makes the number of lights being dimmed here seem higher. And the main allegation made by the Tory candidate was just completely inaccurate, which is rather concerning for someone attempting to stand for public office. Still, if she wants the Council to spend more money on keeping all street lights at full strength all night, maybe she could ask her pal George Osborne to stop hitting our city with such savage budget cuts. So, there we have it. It’s not about the Council trying to switch streets lights off. It’s about the Tories using rumour and innuendo to keep everyone in the dark.